I am the type of person who relentlessly researches products before making a purchase. 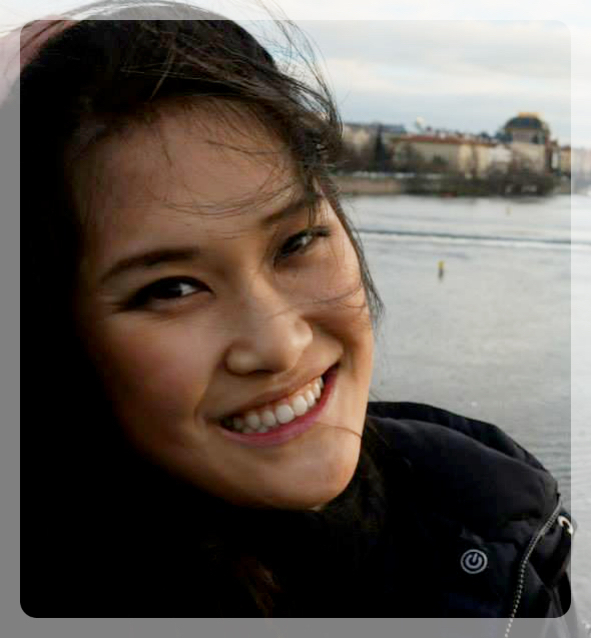 I like to ensure that I've explored every option out there so that I am getting the absolute best option for my needs. Case in point: it took me months to find a gym bag that fit my every need/want, and it took me just as long to find a luggage that I deemed perfect. Before a recent trip to Maui, Hawaii (another travel post coming soon! ), I decided that I needed a new suitcase. My old suitcase, while a durable and wonderful Samsonite that was purchased over 10 years ago, only had two wheels. During my trip to Peru, I had borrowed my boyfriend's four-wheeled luggage and could not go back to a two-wheeler. What is the difference between a two-wheeled luggage and a four-wheeled luggage? A two-wheeled luggage can only steer in one direction - forwards. This makes it extremely hard to turn corners quickly, to wheel your luggage down the middle aisle of the plane, as well as walking around with your luggage in general. A four-wheeled luggage allows you to effortlessly wheel your luggage alongside you. This means you can walk right next to your luggage, spin it around 360 degrees if you want, and generally push your luggage along without much force. This is very crucial when you are walking in the airport with a lot of bags, or are in a rush. What was I looking for in a new luggage? I wanted to be able to carry on my luggage. I try to avoid checking in my luggage whenever possible - not only do you save time at the baggage carousel, but you save money now that airlines have decided to nickel and dime everything, including checked luggage. Thus, I was seeking a baggage that was 22" (height) x 9" (depth) x 14" (width). I wanted a hard-shell luggage. I saw first-hand how useful it would be to have a hard-shell luggage whenever the weather was unpredictable - when it rained, my friends who had hard-shell luggage were protected from water damage. The aforementioned four wheels, of course! Why did I want a hard shelled luggage? Clean and durable. One of the gripes I have about soft-sided luggage is that every time i return from a trip, I feel the need to wash my luggage. 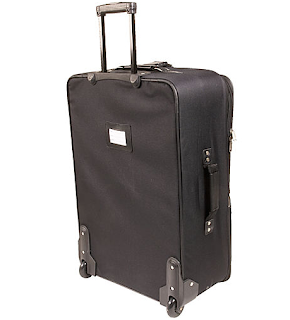 With a hard shell luggage, that is not necessary as I would only need to wipe down the outside of the luggage. You have the option of other colors aside from the standard black carry on, which makes your luggage instantly recognizable. Waterproof/weatherproof. When I went to Peru, it started to rain unexpectedly while our stack of luggage was on top of the car. All of my friends were not worried about their hard-shelled luggage, but I was. We had to stop the car to bring my soft-shell luggage down into the van so my things would not be soaked. After all, few things are worse than having wet luggage! This encounter taught me how useful a hard-shelled luggage would be. There are more pockets that are on the outside of the bag, as well as inside of the bag. This enables you to organize your belongings better. A soft-shell luggage will enable you to pack more into your bag, as they typically have more "give". You can sit on top of your luggage to ensure everything is zipped up, but that would be fairly difficult for a hard-shell. I really found the pros of a hard-shelled luggage appealing. While this is most likely not an annoyance to most people, I personally would find it more difficult to pack. Additionally, when you arrive at your destination, you would need more space to open up your luggage. You would be unable to prop it up against a wall as I usually do. 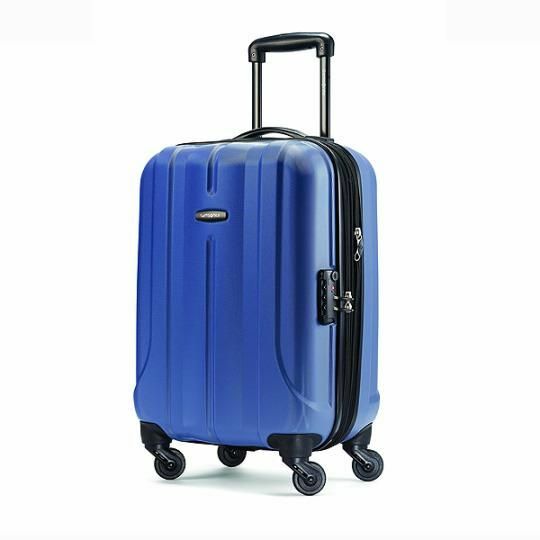 I then came across Delsey's Helium Shadow 3.0 21" Carry-On luggage and found that it was everything that I was looking for! Well known-brand. After countless research, I concluded that the best luggage brands that offer the most bang for your buck was Samsonite and Delsey. I found that these two brands offered the highest-scored product reviews, and also offered 10 year warranties on their products. Not only are these brands reputable, but their products were fairly affordable compared to other high-end brands such as Tumi. Built in TSA lock, which is very convenient for the times you may want to check your luggage, or leave it in the hands of a hotel's lobby. Zippered expansion. 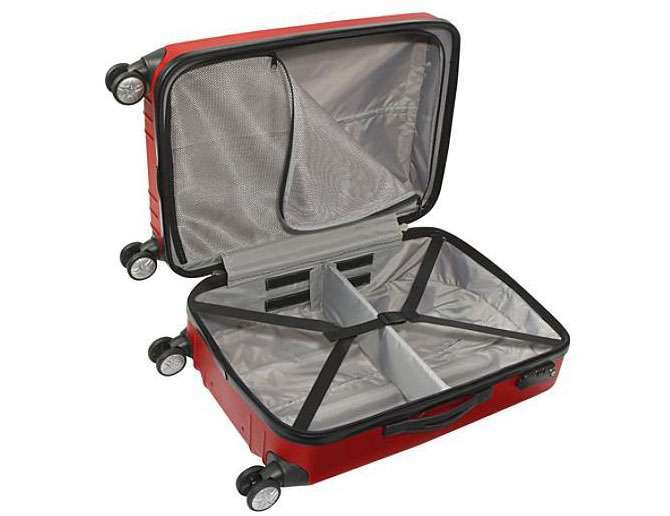 You can expand the luggage by 1", which is extremely helpful when you want to fit some souvenirs on your return home. 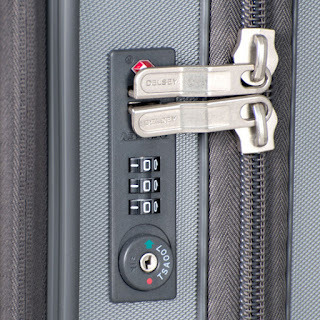 And most importantly...this particular hard-shell luggage has a front lid closure! The front lid closure, to me, combined the durability of a hard-shelled luggage with the practicality of a soft-shell luggage. I felt that I could really pack a lot and my items remained protected. I personally purchased my Delsey Helium Shadow (in purple! I am absolutely in love with the color) from Irv's Luggage. The experience was seamless, and my luggage came relatively quickly. I believe there is free shipping, and they also offer free returns if you are unsatisfied with your purchase. In addition to having a quality luggage bag, you may find that using space saver bags to pack convenient. 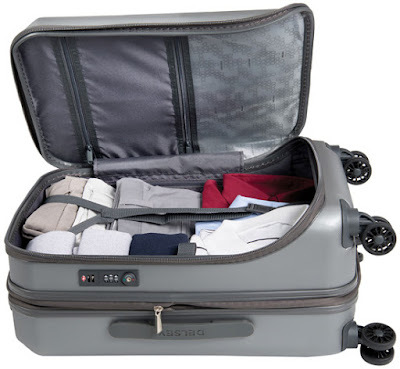 Space saver bags will allow you to compress your clothes so that you can pack more. I hope that you found this review on luggage helpful! If you have a favorite luggage, let me know what it is in the comments below! *All the images used in this post were not taken by me. Images were sourced from Google and Irv's Luggage. This blog is apart of my Peru travel post series. Read my previous posts about the Amazon rainforest, Sacred Valley, Machu Picchu, Cuzco, Lima, and Huachachina! I hope you found my posts about Peru entertaining and valuable! It certainly is a wonderful country and I highly recommend visiting to all you adventure seekers out there. Bug repellent - be sure to spray yourselves down to avoid being bitten by mosquitos! Mosquitos are typically not present in the higher altitude places, such as Cuzco or Machu Picchu. If you are, however, planning to make a visit to the Amazon rainforest, be sure to buy enough bug repellent. I believe you need at least a Deet percentage of 30% and higher in order for the repellent to be effective. Permitern (sp): Spray down your clothes in advance so insects and mosquitos are not attracted to you! Long pants and long sleeved shirts. I bought moisture-wicking workout clothes so that I could reuse them for the gym, thereby saving money in the process. You can also buy clothing with insect repellent "built in"
There are a lot of other clothing items and accessories available on Amazon as well. Usually mosquitoes are not present in high-altitude places such as Cuzco or Sacred Valley. Small backpack for your hiking adventures. 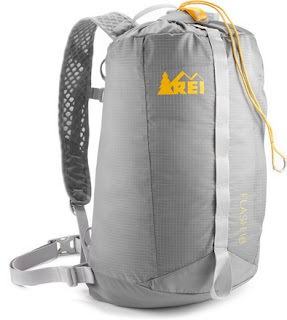 I purchased this backpack from REI and found it very helpful when hiking Machu Picchu. It even had space to put a camelback water pouch in it, which was very convenient during hiking. Snack and granola bars in case you are unable to access food whilst hiking. My favorite are Kind Bars! Light jacket - weather can be unpredictable at Machu Picchu, so a light jacket is important to have. Camera - I took my go pro and used chest and head straps while hiking. I also carried around a extended stick to capture group photos without having to ask strangers. My friends brought their nice cameras, so it was the best of both worlds! Travel Guide - I bought Fodor's travel guide and found it very informative in terms of history, recommendations on places to stay and eat. Note: Do not use TripAdvisor as a guide on where to eat. We ate at one restaurant because of high ratings in TripAdvisor, and we were sorely disappointed. 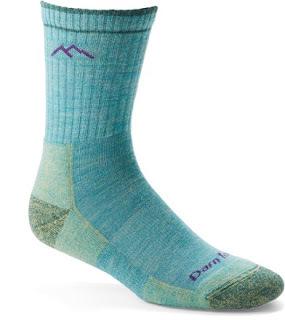 Wool socks: i was able to wear my socks for 2-3 days without washing at a time! 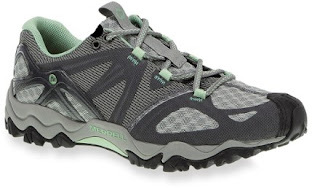 You can buy these at REI. Book/Kindle: for the long bus and train rides during your travels. I really like my Kindle Paperwhite because it is so lightweight to pack and I can read for hours on its battery. Hat: to shield yourself from the sun. Other things you might consider for your trip are travel medications. Malaria vaccination: we were told that Malaria was not prevalent in the places we visited in Peru, so we personally opted out of this. However, please asses your own health needs as necessary! Getting to Machu Picchu takes a bit of planning. I've included the two options that are most common for those interested in visiting Machu Picchu. Taking a Perurail train from Sacred Valley to Aguas Calientes to stay overnight. The trip from Sacred Valley to Aguas Calientes was approximately a 1 hour 45 minute ride. We stayed at Casa Andina Aguas Calientes, and though on the pricier side, we felt it was well worth it to rest up before our big Machu Picchu day. Waking up at 5 am to line up for the bus ride up to Machu Picchu. By taking this route, you get to go to Machu Picchu earlier in the morning to avoid the crowds, thereby ensuring prettier pictures! Taking the Perurail train from Cuzco to Aguas Calientes in the morning. Keep in mind that this train takes roughly 4 hours. Taking the bus from Aguas Calientes up to Machu Picchu. You would buy tickets at the bus ticket booth. By taking this route, you will arrive at Machu Picchu around 11 am, which is when it is most crowded. I would not recommend this route simply because Machu Picchu is not as magical when there are hordes of people in your pictures. 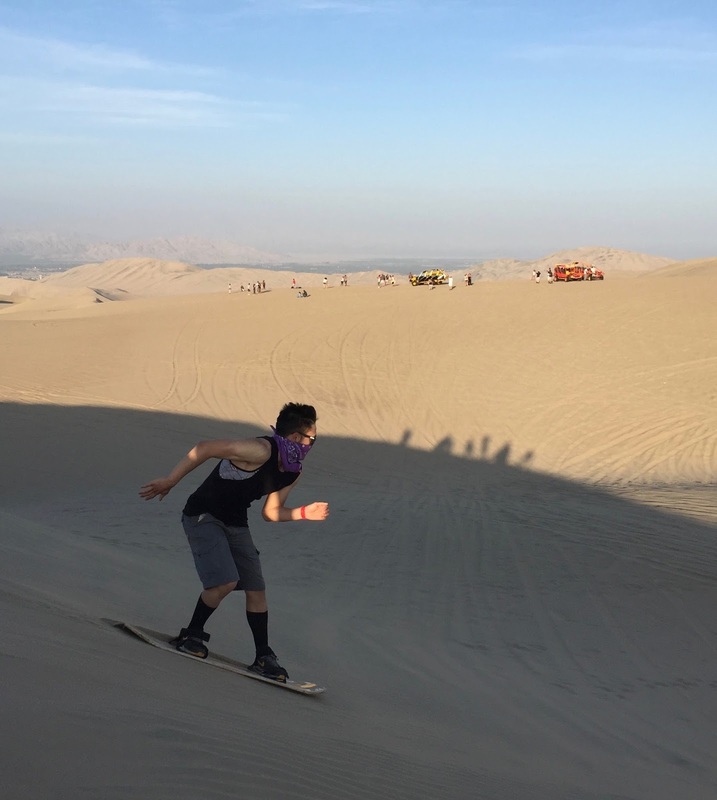 Peruhop: We used this service to go sandboarding in Huacachina. Machu Picchu Tickets: be sure to purchase your Machu Picchu tickets in advance on the government website. If you would like to hike up either Machu Picchu or Huayna Picchu mountain, be sure to buy the appropriate ticket. This website is a great guide on how to purchase your Machu Picchu tickets as the website can be slightly confusing. Be sure to have your passport ready. Bolesto Touristo for Sacred Valley sites: You can buy this at the entrance of the Sacred Valley sites. We bought ours at the Ollantaytambo Ruins. Amazon Planet: We stayed at this all inclusive resort during our stay in the Amazon rainforest. They were wonderful for the price and I highly recommend them! Peru Rail: We used Peru Rail to travel to Aguas Calientes, the town right below Machu Picchu. You can travel to Aguas Calientes to stay overnight, or go early in the morning for Machu Picchu. We chose to stay overnight in Aguas Calientes. We stayed at Casa Andina Aguas Calientes overnight before we hiked Machu Picchu. Casa Andina is a chain of hotels in Peru. We found their rooms to be large, comfortable, and offered a nice shower with hot water! Apparently hot water is not common in some places in Peru (i.e. Cuzco and Sacred Valley), so keep that in mind as you look for hotels. Hostal Iskay in Ollantaytambo. This place was very reasonably priced and offers free breakfast. There was hot water and the beds were fairly comfortable, though keep in mind the rooms were on the smaller side. Peruvian beer. I really enjoyed this! It's light and refreshing. This blog is apart of my Peru travel post series. Read my previous posts about the Amazon rainforest, Sacred Valley, Machu Picchu, Cuzco, and Lima! We board a bus the next day at 5 am for a day trip to Huachachina. Huachachina is a desert oasis in Peru, about a 4 hour bus ride from Lima. We used Peru Hop for our day trip to go sandboarding. 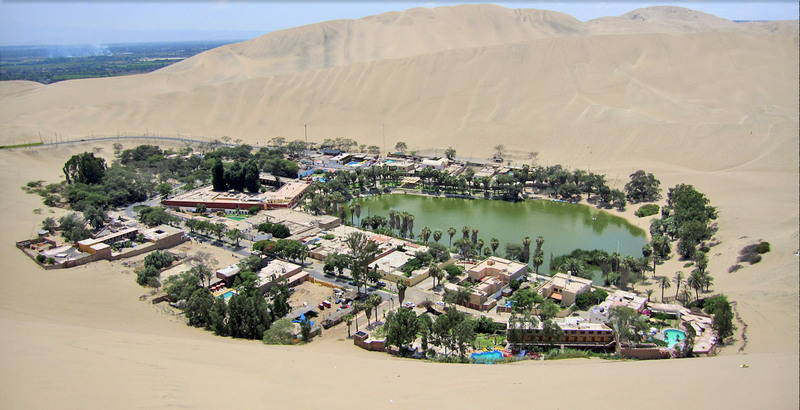 This is what Huachachina looks like! What is sandboarding? Literally what it sounds like - boarding on sand! We rode sand buggies to hills and hills of sand where we slid down on our boards. It was such a once-in-a-lifetime experience. I cannot describe the enrapturing beauty of never-ending sand as you're drifting down a hill. The adrenaline! Bye, Huachachina! You have been so good to us. After a long and fulfilling day, we ride the 4 hour bus back to Lima. We ate at Larcomar, the nearby mall, and ate lomo saltado, ceviche, and lots of pisco sours! Read next: Are you interested in traveling to Peru? Read my post on packing necessities and tips! *We have my friend to thank for these beautiful pictures throughout the next couple of posts. A few of these pictures were taken on my GoPro, but most pictures were taken by my friend, Alex Botao Wong. Mina. Food enthusiast. Trader Joe's fanatic. Read more here.